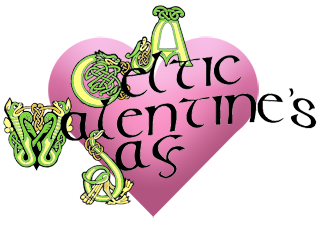 Join us for a fun evening of Celtic music and contemporary indie music at Molly Malone's Pub located at 575 South Fairfax Avenue in Los Angeles, CA 90036. It takes place THE DAY BEFORE Valentine's Day and there's no better way to celebrate than to ENJOY LIVE MUSIC in an Irish pub! Highland Sun: featuring Howard Chu - Fiddle/Vocals, Steve Pribyl - Uileann Pipes/Flute/Whistle, Peter Romano - Guitar, Adam Kirk - Fiddle, and other guest performers. The Non Chalants: featuring Frank - Bass/Vocals, Lindsey - Keys, Danny - Drums, Joe - Guitar/Vocals. This is a fundraiser concert with the proceeds going towards supporting upcoming Celtic Arts Center theatrical productions, including "The Au Pair Man" by Hugh Leonard opening in April 29th, 2011. (Payable by cash or check at the door the night of the performance. leave your name and how many in your party. © 2011 The Celtic Arts Center / An Claidheamh Soluis. All rights reserved.